One shot. Dress up. Undress. In between two breaths. What happens underneath? Through videos that capture the different realities that surround us, we will have the opportunity to do a personal and singular search that will help as inspiration for the creation and composition of the choreographic material. The images will encourage us to work from different perspectives, to interpret through the exploration of rhythm, quality, space, musicality, intention, to manifest what happens behind the movement. Requirements: make 3 videos (maximum 30 seconds with horizontal position and high resolution) of specific observations that inspire you (movement, atmosphere, details, situations, etc …) to be sent by 13/03 and wear clothes (shirt, dress, t-shirt …) you want to work with. The course is taught in Spanish and English. 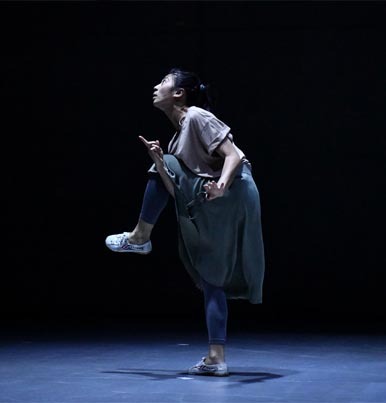 Recently, Ti has been developing a work based on different processes of research, creation and interpretation of choreographic matters, between dance and contemporary theatre. Using captures of surrounding realities, she is also working with the architecture of objects, materials, visual and soundscapes. 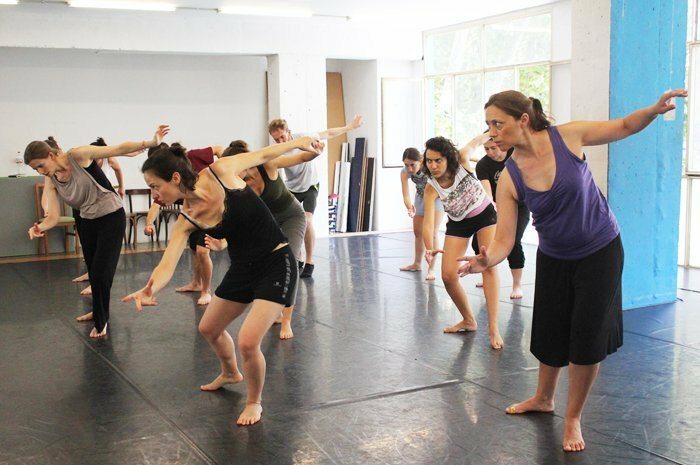 Ti also works with contemporary artists of theater, dance and circus in Europe, as a pedagogue, choreographic and theater supervisor. 15% discount if you enrol one month before the course’s starting date. 15% discount (permanent) for Moveo students and former students of the regular courses.